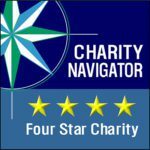 Celebrate GivingTuesday by giving back! A frightened infant gibbon is suddenly orphaned, by the shooting of her mother, snatched by human hands, and sold as a pet! That is how Tong’s life began in the forests of Vietnam. For the next few years Tong was bounced from one pet owner to another, finally ending up in Thailand. During this time, she developed rickets, a deforming bone disease. Her life was transformed when in Thailand she was given to Shirley who had just founded the International Primate Protection League. Tong continues to live at IPPL’s gibbon sanctuary in Summerville, SC. Gibby, also a wild-caught infant, was taken from his mother and sold to a U.S. laboratory in 1960. Imagine his fear! For over four decades a cage and experiments were Gibby’s life. Finally in 2007 Gibby reached IPPL! Today Tong is her 40’s and Gibby is in his high 50’s. After Tong’s mate, Brownie, died she was alone. Gibby had lived alone since he arrived at IPPL. Then, around Valentine’s Day in 2013, something magical happened between these two! Tong and Gibby were introduced and bonded as if they had known each other for years!  In addition to our gibbon sanctuary, IPPL has grown by leaps and bounds for almost 43 years! We have helped organizations in Asia, Africa and South America care for, and save the lives of countless, innocent primates. Your support on #GivingTuesday will enable us to provide exceptional care for our 36 gibbons and primates around the world who continue to desperately need our assistance. We hope you will make a generous donation and also show your support by taking a picture, tagging it #unselfie and #GivingTuesday, and posting it to your Facebook, Twitter or Instagram until December 4th. Please make this #GivingTuesday a big success by donating and sharing our message! For primates everywhere – Thank you!